Total 7.5kms on Day 1. Return swim to mainland next morning to complete the circuit. A swim with a sting, the last 300m to the island is very slow as you enter the channel to the sandy finish. We are swimming in an incoming tide which sweeps both ways beside the island. The Toughest swim of the Series. 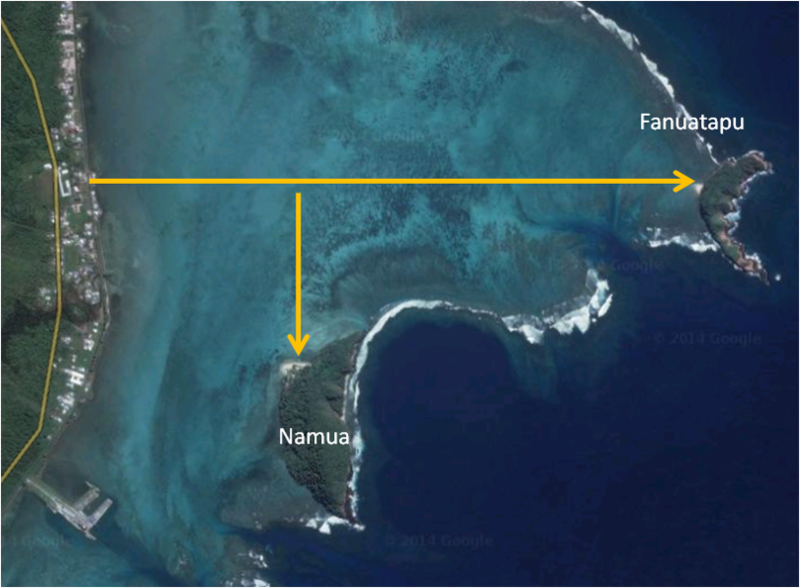 Mainland start to Fanuatapu Island, back to the middle then a 90 deg left turn to Namu'a island. The finish is at Namu'a. The challenge is on approach to Fanuatapu island, the incoming tide is strong and it seems that you are not gaining on the island - but you will. 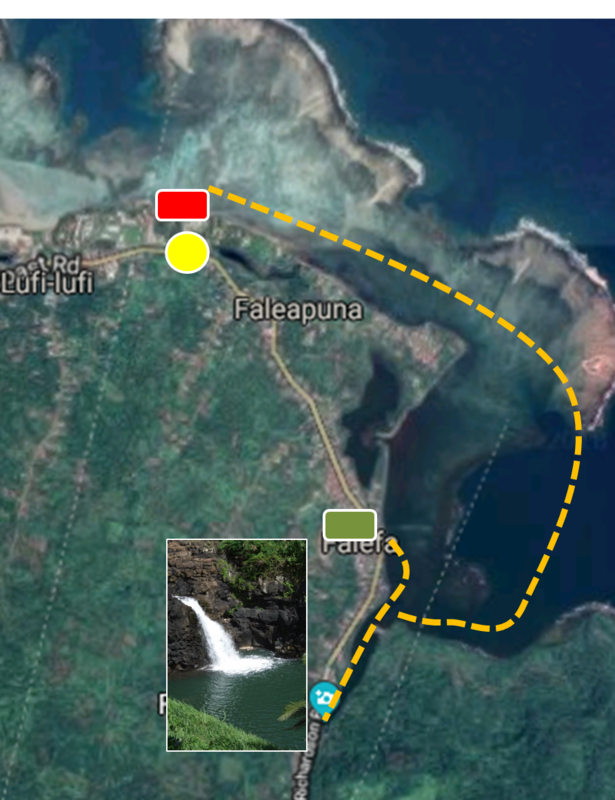 Falefa Falls to Le Uaina Lodge - this is an adventure swim. We start at the small beach at Falefa Village. From there the swim goes to Falefa Falls 1km away - from the sea to falls and out again very unique. 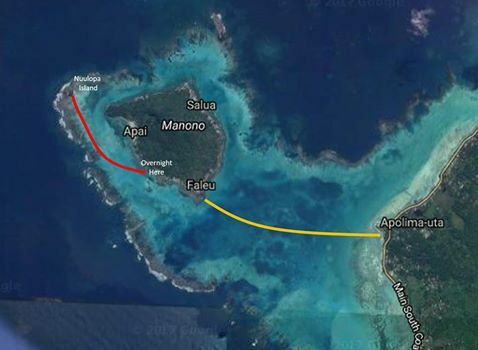 The swim then goes deep behind the reef and touches the fringes of Matautu Island. From there it is 2km to the finish at Le Uaina Lodge our accommodation for the night. 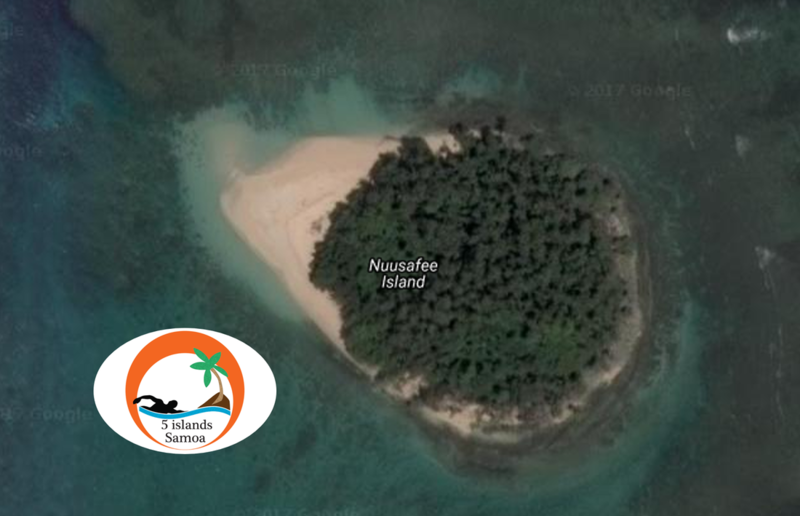 Our alternate swim is Albatross Island at Saoluafata Bay. 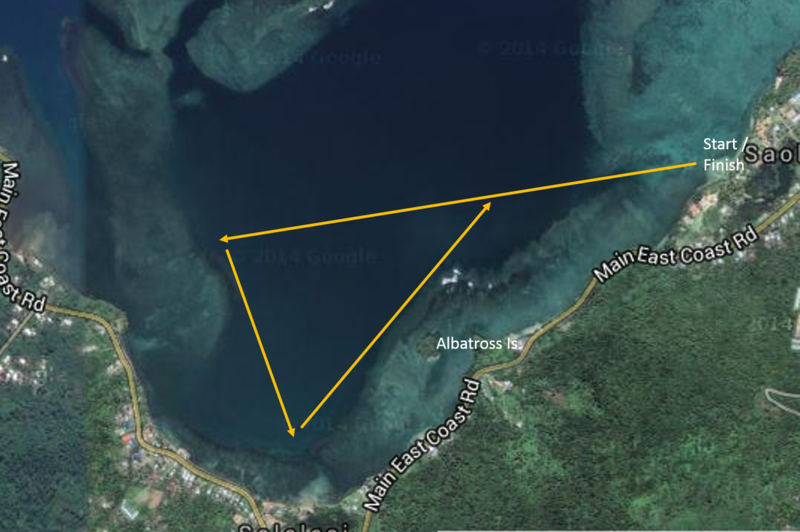 This is a 4km Course in sheltered deep water.